The "Golden Age of Flight" is unofficially the period of time between World War I and World War II; i.e., the 1920s and 1930s. The Wright Brothers and their immediate followers had worked out the basics of flight control and engine building, and the race was on to design airplanes for commercial passenger and freight transportation, recreational pursuits, and military applications. Part of that process was the setting of records for closed course and long distance speed, time to climb, altitude, and high-G maneuvers. Proving new concepts in airframe, powerplant, and instrumentation was necessary, as was developing equipment and techniques for facilitating precision navigation - both visual and by instrument. 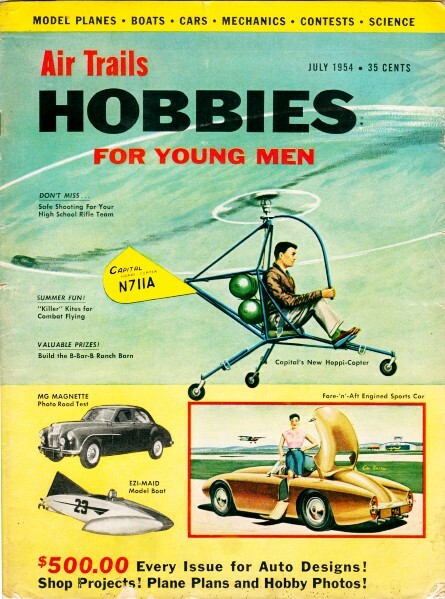 During the era, aviation transitioned from being a mere curiosity for the public and barnstorming daredevil pilots to establishing a serious business that engaged a growing percentage of the population. 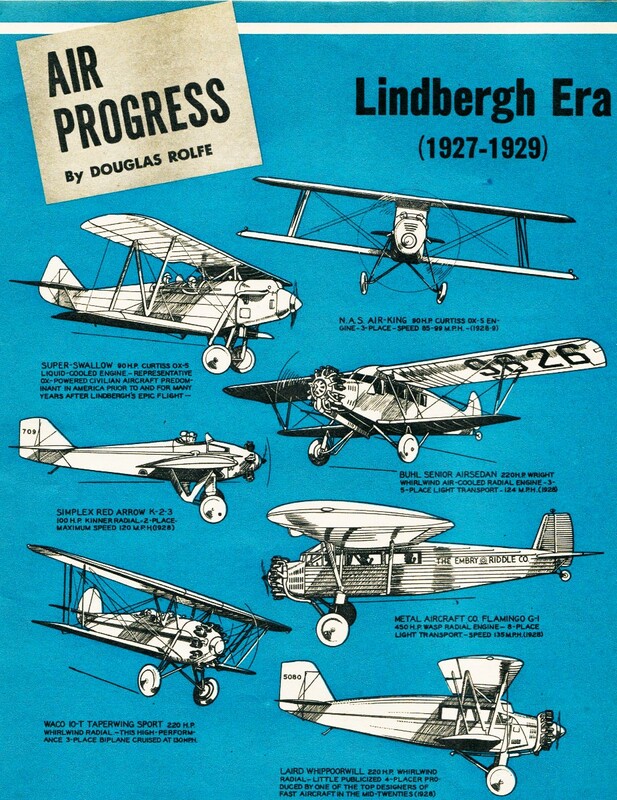 Commercial aviation in America was a struggling and financially perilous industry at the time of Lindbergh's New York-Paris flight, and by far the majority of civil aircraft in operation then were either war-surplus types or conversions. The success of the "Lone Eagle's" flight, however, served as a shot in the arm, and within a few years scores of aircraft by American designers were being offered as "tomorrow's plane today!" 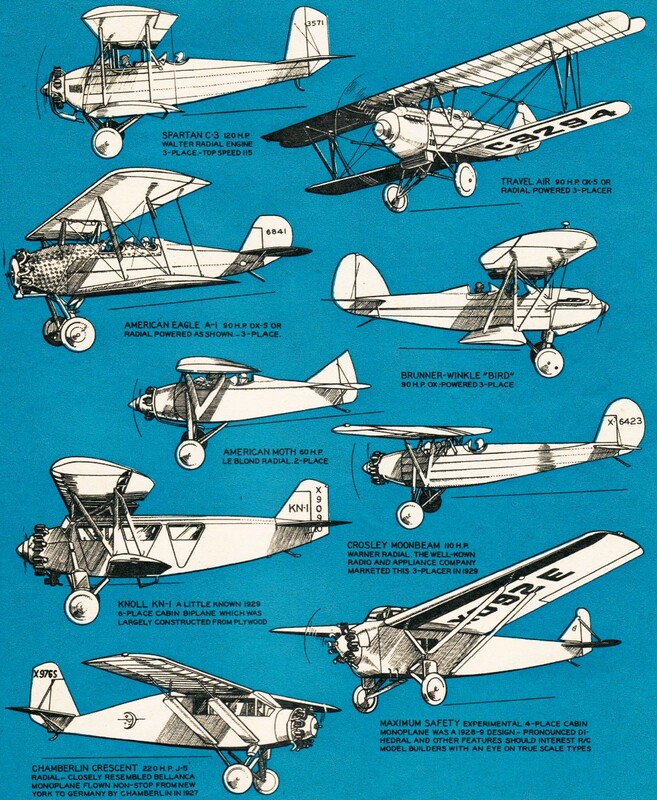 Since an enormous quantity of war-surplus Curtiss OX-5 engines were still available at low disposal prices, and since the Wright Whirlwind was a very expensive engine, it is hardly surprising to discover that a great number of new OX-powered open cockpit biplanes appeared. Some of these are featured on these pages, as well as some of the more involved types which blossomed briefly. It is interesting to note that the Laird "Whippoorwill" was not the product of the E. M. Laird Airplane Co., builders of the famous Solution and Supersolution racing airplanes and he fast Speedwing three-place biplanes, but was a different concern called Laird Aircraft Corp. of Wichita, Kan. E. M. Laird was the original builder of the Swallow, back in 1923, which design was later acquired by other interests, and "Matty" Laird started manufacturing his speedsters in Chicago, Ill. ... 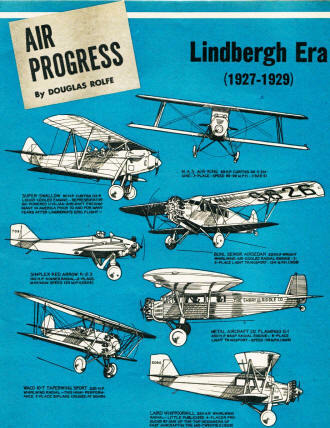 The planes shown here have never before appeared in Air Progress; other unpublished types of same era will follow. Waco 10-T Taperwing Sport 220 H.P. Whirlwind radial - This high-performance 3-place biplane cruised at 130 M.P.H.